Our use of Stained Glass Tiffany on Doors, Partitions, Lamp Shades, Table tops, Wall hangings, Coasters, Mirrors, Paper holders, tile designing & several other decorations lifts the items from ordinary to the sublime. 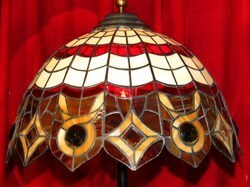 We offer Tiffany glass lamps at industry leading prices. 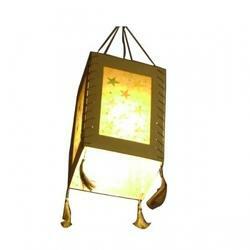 Our attractive lamps are appropriate for decorative purposes and extensively used for gifting purposes. These have beautiful etchings in variety of colors that look even more amazing when lit in the dark. Tiffany is a collection of durable, easy-to-maintain upholstery chenille perfect for both residential and contract use. The versatile mix of four patterns -a classical damask design, a floral all-over ornament, a delicate floral motif and a simple geometric design – is available in a wide range of neutrals and brilliant colors. With very elongated years of knowledge in this realm, we are engaged in tendering excellent quality array of Tiffany Table Lamp. They are available in many sizes and designs.